The mid-1990s were dark years for the National Security Agency. It’s budget had been slashed, top technical talent was seeping out, and the company that made its supercomputers was in trouble. You can get a sense of the agency’s worry — and its myopia — in a top-secret report on the state of supercomputing that the U.S. spy agency recently declassified. Originally published in the Winter 1995 edition of the NSA-only code-breaker’s journal “Cryptologic Quarterly,” the report opens a small window onto the secretive agency — although the glimpse it provides is now rather dated. One thing it does show is how wrong everyone was in the mid-90s about what lay ahead for the supercomputer. Even the United States’ premiere supercomputer user was in the dark. The report calls on the NSA to do what it can to save its favorite supercomputing company: Cray Research Inc., or CRI. “The commercial viability of CRI and the rest of the supercomputing industry is critical not only to NSA but also to the entire Western world crytanlytic community,” says the report. Cray Research was sold to Silicon Graphic the next year and then spun into another company. 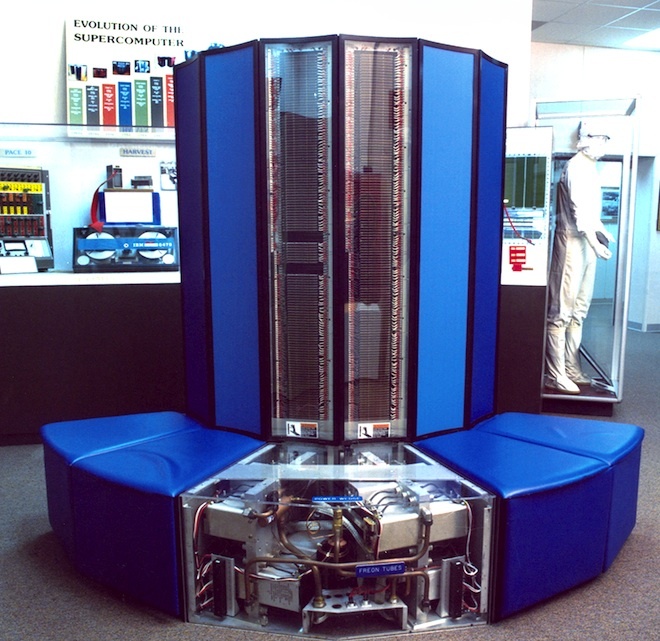 Although the new Cray makes supercomputers, they’re nothing like the futuristic freon-cooled machines the NSA was trying to preserve.